The company’s share price closed Wednesday up over 60 percent on the news that it has made a high-grade gold discovery at Dixie’s Hinge zone. 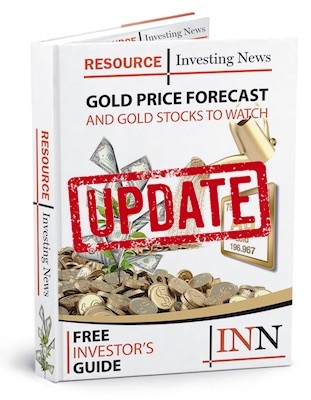 Great Bear Resources (TSXV:GBR) closed Wednesday (August 22) up 63.89 percent after reporting a new high-grade gold discovery at the Hinge zone of its Ontario-based Dixie project. According to the company, drill hole DHZ-003 returned 16.35 meters of 26.91 g/t gold, including separate subintervals of 5.05 meters of 51.39 g/t gold and 1 meter of 112.63 g/t gold. DHZ-004, a follow-up drill hole completed 15 meters vertically beneath DHZ-003, intersected even higher-grade mineralization, returning 7 meters of 44.47 g/t gold. That includes 2 meters of 143.24 g/t gold, including 1 meter of 224.03 g/t gold. “Our first hole, DHZ-003, encountered a wide interval of quartz veining with visible gold and we immediately followed up with a second hole, DHZ-004, which also hit the zone and encountered even stronger grades,” said R. Bob Singh, director and vice president, exploration, at Great Bear. “In total the Hinge Zone has been intersected in 8 drill holes over 70 vertical metres, all of which contain high grade gold. The zone remains open in all directions,” he added. Chris Taylor, Great Bear’s CEO, explained that the company saw that the potential for a “transformative” discovery at Dixie when it “noted structurally controlled high grade gold within quartz veins, flanked by red-brown hydrothermal biotite alteration” — those and other identified traits are characteristic of the high-grade gold deposits found in the region. Great Bear is in the process of purchasing Dixie in its entirety. In 2015, the company announced an option to buy a 67-percent stake in the asset from a private vendor, and last year it entered into an agreement to purchase the remaining 33-percent stake owned by Newmont Mining (NYSE:NEM). In total, Great Bear agreed to pay the private vendor $130,000 over four years, plus 100,000 shares, while the Newmont portion clocks in at $80,000 over four years. Currently the company has $110,000 left to pay over three years across both deals. The West Madsen gold project is its other Red Lake District asset. The company’s drill program at Dixie is ongoing, with 5,000 meters across 20 to 25 holes still to go. The program, which began in March, is fully funded and will see 10,000 meters drilled altogether. As mentioned, Great Bear’s share price ended Wednesday up 63.89 percent at C$1.18. The company is up 195 percent year-to-date and 247.06 percent in the last year. Image courtesy of Great Bear Resources.